Written by Ivy Lyons. Media by Paige Lunde. As an RC this year, I hope to present the college with an opportunity to get to know Residence Life a little bit better. Even though it has been less than a year, getting to speak to our great Residence Life staff has given me a list of things that I didn’t know about at Greenville College -and that I definitely should have known. Residence Life is more than just RCs. At our college, there is a staff of roughly 50 undergraduate students, graduate students, and full-time employees who truly enjoy getting the opportunity to create a sense of community throughout the campus. Beginning with Walkabout and Training, each year these students dedicate themselves to creating a helpful environment and try to be there for students as often as they can. They range from excitable and hilarious to quiet and calm and try to be symbols of what students and GC should be (though, like all humans, can occasionally fall short of expectations). They are, collectively, Residence Life. Jo’s Java, special brew. Photo by Paige Lunde. RCs are hired to provide direction, guidance, and support to the students who live within their space; a goal they can’t achieve if they don’t build a relationship. This means the hope of almost every student that chooses to be an RC is that they will get to know people and that they can create a sustained relationship with everyone on their floor. 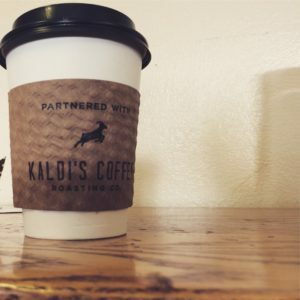 When a student is down, in pain, or just in need of coffee, it is your friendly neighborhood RC’s hope that you will feel comfortable coming to them. Resident Chaplains get a bad name for being “too legalistic”. And, yes, some RCs will care more about your girlfriend/boyfriend being in the lounge than others. However, RCs are not hired to be villains or hope to report students on a weekly basis. In fact, RC training is comprised of roughly 4 hours of training on handling conflict and reporting situations (8% of training). The remaining hours, about 46, are spent learning how to communicate, counsel, and coexist within floors and on staffs. In other words, your average RC has more experience in helping you than documenting fights or asking girls to leave your room. They want what’s best for you! Your CRE wants the best for you. Greenville College defines their CREs as a group of individuals who are interested in making an investment into each student who comes to Greenville College. Many of your CREs are trained in Higher Education; they are intentional and have the best interests of their students at heart. Two of the CREs that work at GC are students themselves, balancing a Graduate degree, personal lives, and the lives of the students in their buildings. The other three full-time CREs focus intensely on using their time and experience to craft awesome events and pour into the great RCs that interact so closely with you. While you may not actually see your CRE every day, they are focused on the hall with Christ’s love as a centerpiece. Their collective hope: that they can foster your growth holistically. 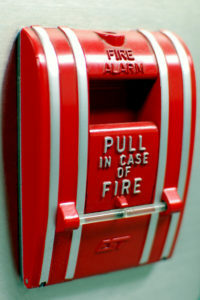 Fire Alarm. Photo from Static Flickr. We hate fire alarms too. Don’t light fires, please. We don’t like to get up. You don’t like to get up. Learn to make popcorn, but try not to learn how at 4am. You don’t have to agree with the policies, but the policies are in place because the staff cares about you. Residence Life’s mission statement says that they hope to “build Christ-centered communities” in order to foster the growth of each individual student on campus. Be a dorm or house, the staff hopes to see God shine through you. The policies that Res Life creates are made with the best interests of every student as a foundation. While you may not agree with them, the hope is that we can all abide by them! Ross Baker, the Director of Residence Life, focuses intently on every GC student that he gets the opportunity to work for. He pours his heart into his staff intentionally, so that they may, in turn, pour their hearts into you as a student. The effect that Res Life wants to have may not seem profound, but it is definitely one that they hope you will remember. Through the good times and the bad; from E.A. Holtwick to Kinney Hall, Residence Life is there for you! 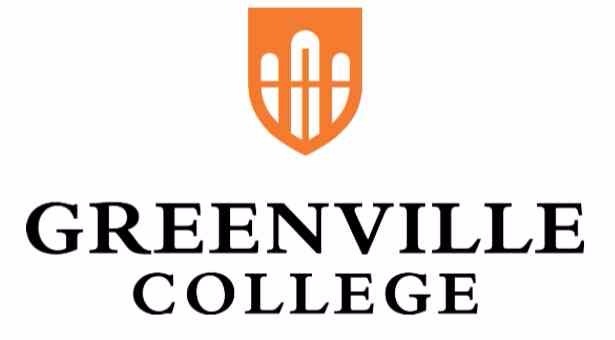 Greenville College logo. Photo from Greenville.edu.